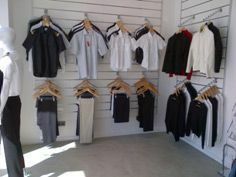 For many years, the Deckers showroom is the place to start the season choosing unique uniforms for your crew, close to santa catalina market place, wellknown from all yachties in Palma. More than that, our sales team is used, pleased and ready to come onboard where ever you are around the island, showing samples, checking the sizing or even taking measurements. Our local stock and workshop insure the most efficient time frame for your order management, always depending on your choice for sure.